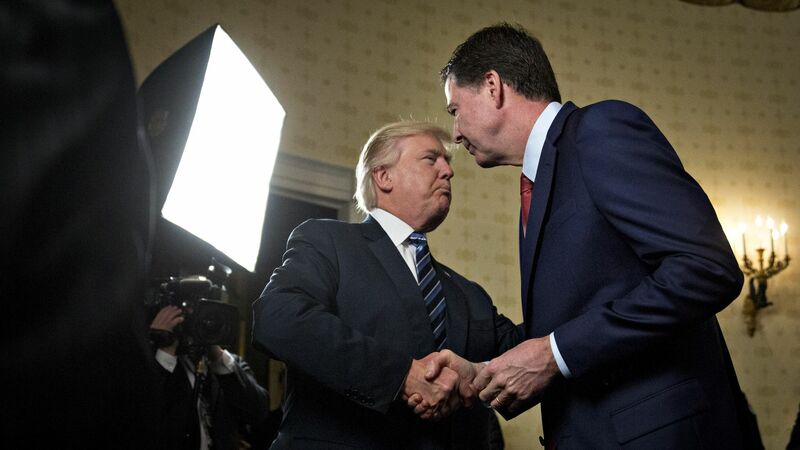 Former FBI Director James Comey's forthcoming book,"A Higher Loyalty" is making a splash in the days before its release as several leaked excerpts reveal it to be an unfiltered look at his short-lived time in the Trump administration. What’s next: The book hits shelves on Tuesday, and Comey is doing a nationwide press tour in the weeks that follow. Go deeper: Trump reacts to the Comey book, calls him an “untruthful slime ball"